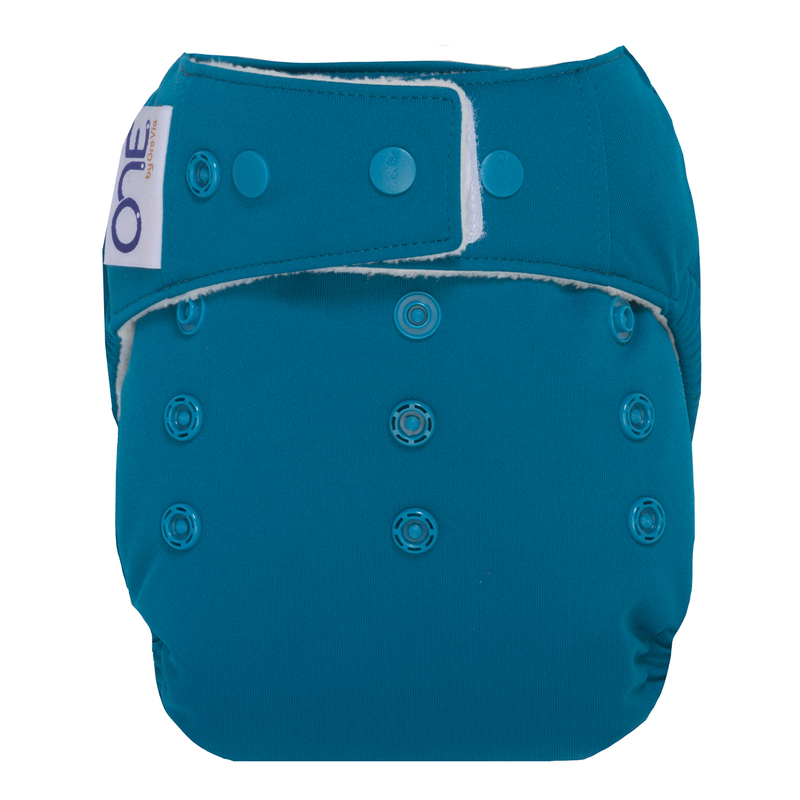 The O.N.E diaper is a true all-in-one diaper (fits 10-35+ pounds) that comes with everything you'll ever need to cloth diaper a baby: enough absorbency to forget boosters and doublers (even overnight), two built-in closure options, and a heavy-duty construction that is built to last. These diapers have changed my life. Ok, a little dramatic but when you co-sleep, a cloth diaper that doesn't leak is essential. My little guy feeds a lot at night. These are the only diapers that can go the distance. I was getting up to change him constantly but now I'm able to sleep knowing I won't wake up in a puddle of pee. Game changer! I use these for nights for my 13 lb 4 month old. 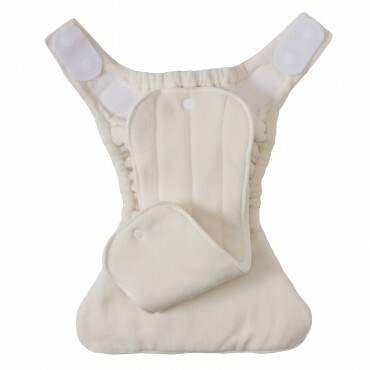 They are very absorbent, but very bulky - even with the one insert (although I use both for nights). I imagine that as a toddler they will be a nice fit with one insert, but for now they are huge no matter what. I like the velcro/snap option and don't find the velcro a hassle to remove, but find that the added velcro again adds more bulk. For this age and size I would not use these for daytime. I used fitteds and wool for night w/ my 2nd and 3rd children. Needless to say, w/ my 4th I wanted the easiest night time solution possible :). This is it! Very absorbent, but all in one step! Only negative is the Velcro option doesn’t have washer tabs, so they must be removed for wash. These are all we use for overnight, and they are fantastic! 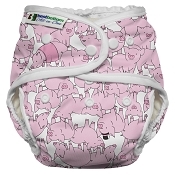 My daughter started out-wetting disposables by 4 months old, and these diapers saved our bedsheets! Now she is 16 months and I need to add a booster for overnight but we are still loving them. Don't give up if they don't work immediately, they need a ton of prepping! I started out really loving these and wanting an entire stash of all the colors... but now im worried. MY son is a super soaker and we started at 2.5 months using the small soaker... quickly upgraded to using the large soaker... then by 3 months we had to use both inserts. 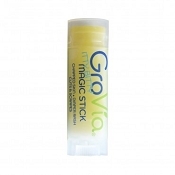 He is 6 months old right now and uses both inserts plus a hemp booster. It just barely holds up which makes me worried about when he is older. But we will see I guess. Just was expecting a little more after all the rage but it works. My baby is 7 months, approx. 18lbs. and wakes up 4-5× a night to feed. She is a heavy wetter. Every time we've tried these diapers they've leaked. 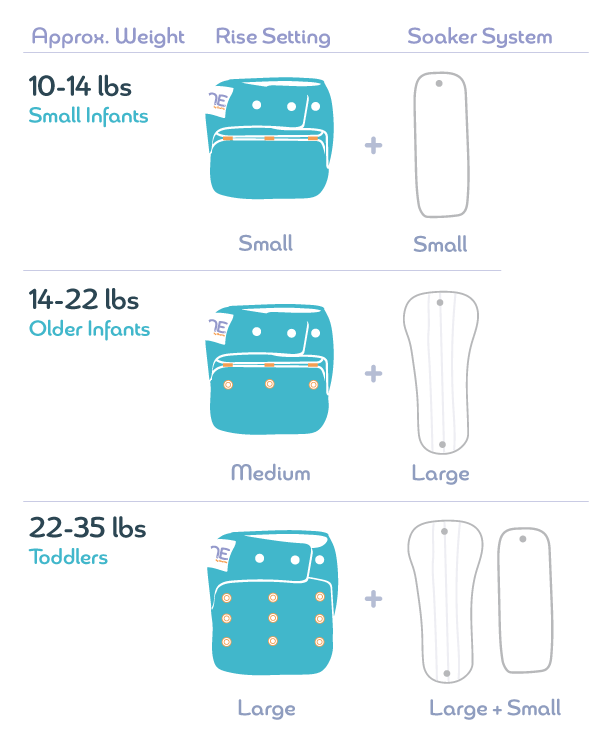 If you have an older baby or baby that wakes and eats all night, these diapers may not be enough for you. We've had to add our own absorbency. I find these bulky and wish the inserts were a natural fiber. 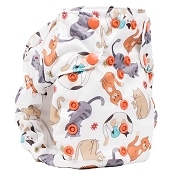 This diaper is well made and a decent nap option but just doesn't work overnight for us. We switched over to these when our daughter started sleeping on her tummy and thus out-peeing disposables at night. 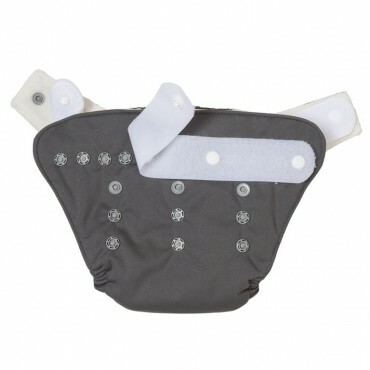 We tried a few different options but we decided on this as our night diaper and now have 5 of them. They are simple to use. I do find that I need both soakers at night (she is 7 months currently). I flip the small soaker up so it is on top and fold it in half to give extra absorbency at the front. It did take some trial and error to get a good fit around the legs, but even with a tiny gap, it didn't cause any issues. Thankful for these, as we now wake up with jammies, sleep sack and bed sheet DRY! The soakers do take quite a while to dry, whether on the line or in the dryer (at least 1.5 cycles). Overall, I am happy with these and my husband likes them too. My favourite overnight diaper, but not at first! Its funny, I didn't like this diaper the first few times we used it. It was hard to get a good fit, and I can't quite explain why. It was just... Weird. And I was completely shocked that it lasted overnight because it doesn't look like it should haha! 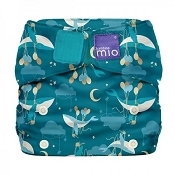 We are at 20 months now and need a hemp booster for overnight but it works so very well that I've bought 6 of these diapers over the past year! Daddy's favourite overnight becatits easy to use. I had high hopes for this to be one of my favorite diapers but it fell a little short. I find I dont use the hook and loop because it must be removed for washing and I forget about it. 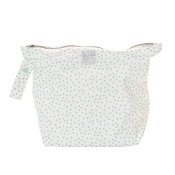 I have not experienced any leaks with it until I used it at night but my daughter is small and with both inserts I got a little gap maybe it will work once we go up a rise.